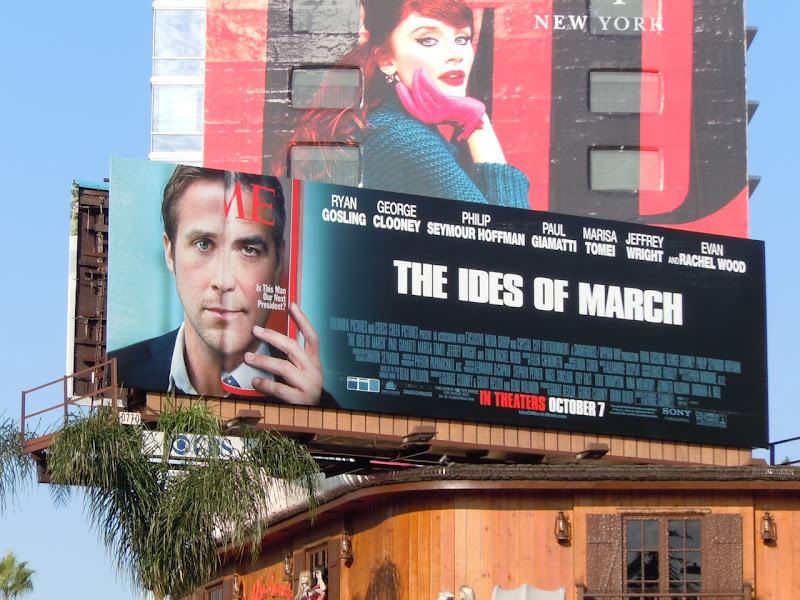 How cool and clever is this billboard concept for new political drama, The Ides of March. 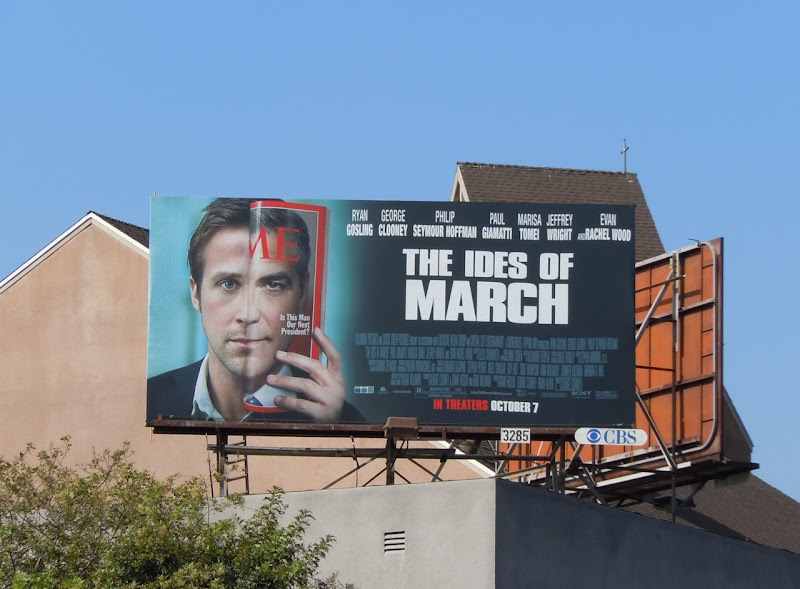 The left side has the young Ryan Gosling's face and the right-hand side there's the equally handsome face of George Clooney's, but mirrored on the cover of TIME magazine. 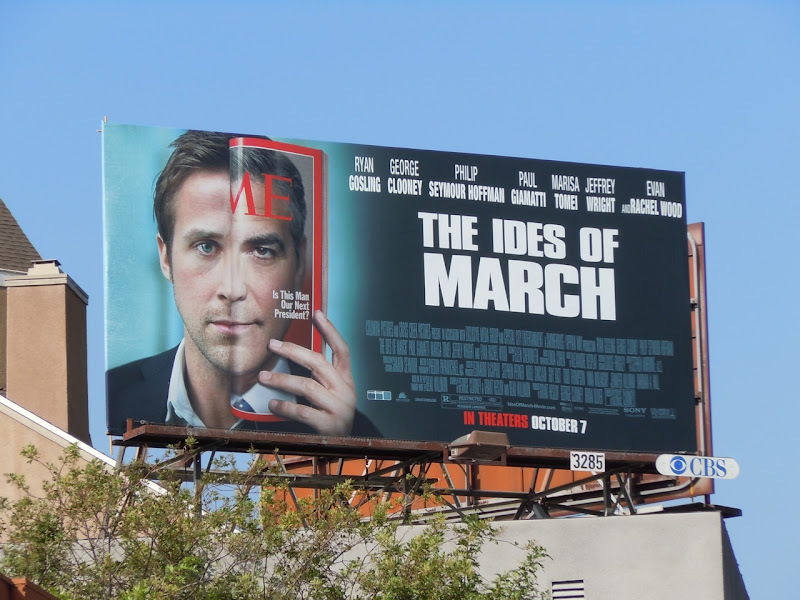 The visual works really well and with similar features it's hard to distinguish where one striking face ends and the other begins. 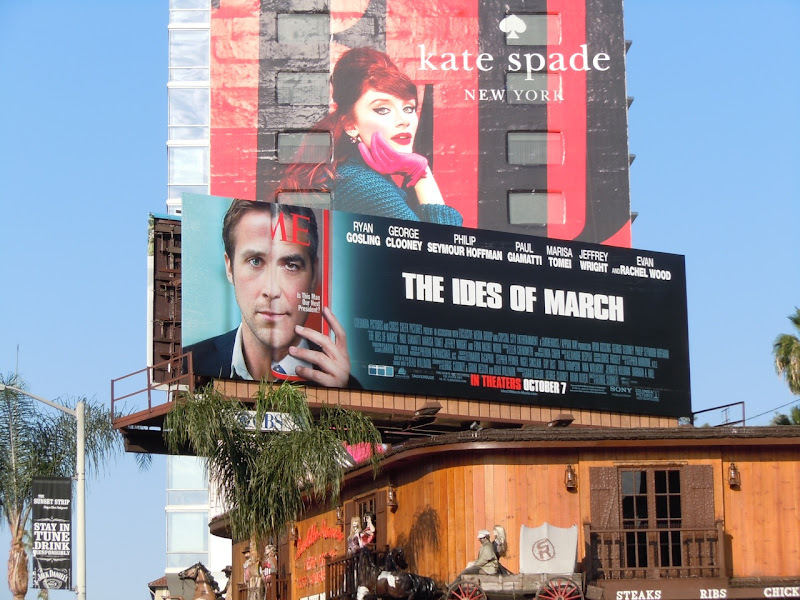 The two actors really do look alike, even though they may be separated by a few years and a few grey hairs. 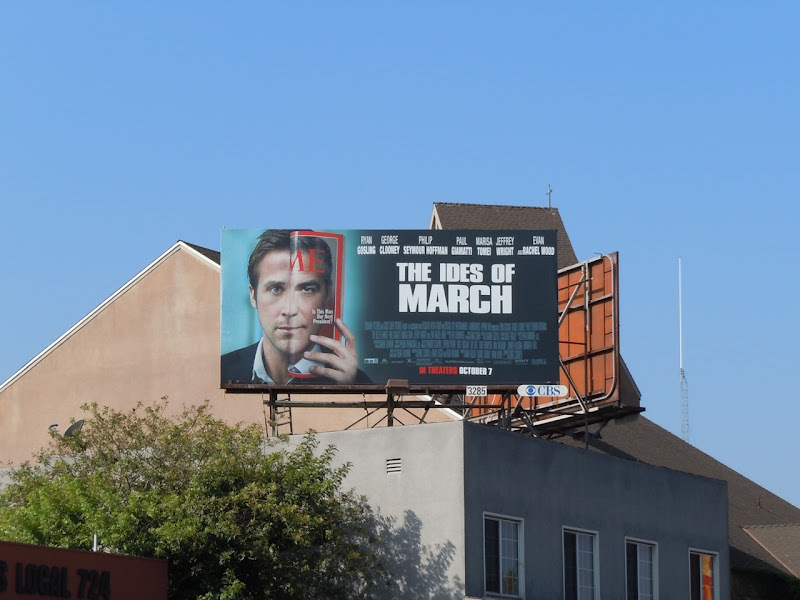 The standard format billboard for the movie was photographed along L.A.'s Sunset Strip on September 13, and the smaller version along Melrose Avenue on September 30, 2011.